Tourist places in Bharatpur have always been rejoiced with love whenever visited by tourists since Bharatpur is all architecture and has all things of sheer bliss and beauty. Bharatpur, a city in Rajasthan has been christened with different titles since the time it came into being. Historical folklores talk about how it got its name after Ram’s younger brother Bharat during the ruling times of Matsya Kingdom around 5 B.C. Since the time of its foundation this princely city has been adorned with innumerable forts and palaces that form the city line, and as time progressed it also got its name as being the ‘World’s most fascinating bird reserve’. 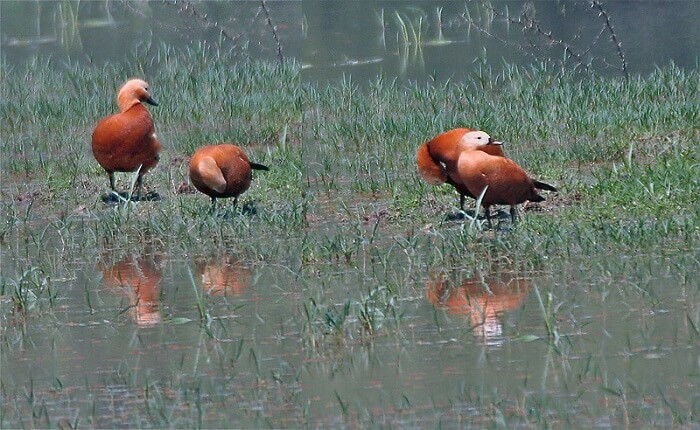 Tourist places in Bharatpur include a lot of places for bird lovers. These places are best to be visited all around the year mostly during winter season as a lot of birds migrate around the same time. In short, there is a plethora of tourist places in Bharatpur. Keoladeo National Park, which is also known as Keoladeo Ghana National Park or Bharatpur Bird Sanctuary is famous for avifauna and has a large number of the bird population, especially during winter. Declared as a protected sanctuary in 1971, it is a completely man-made wetland that also happens to be one of the National Parks of India. It consists of 366 bird species, 379 floral species, 50 species of fish, 13 species of snakes, 5 species of lizards, 7 amphibian species, 7 turtle species and a whole wide range of other species of invertebrates. 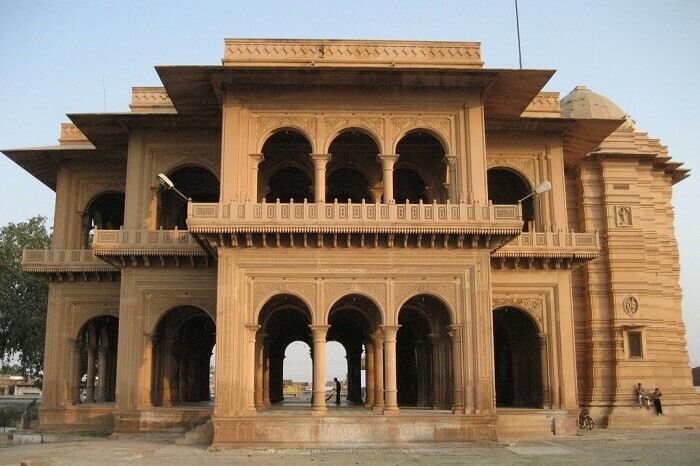 The Government Museum of Bharatpur in the Lohagarh Fort is a strong reflection of the culture in the area, and contains a lot of ancient artefacts related to art, history, and ancient traditions. Major attractions of the museum include stone sculptures, inscriptions, terracotta items, metallic items, coins, weapons, and local art that is housed inside the museum. It also contains an art gallery where ancient art is preserved on the leaves of peepal tree, mica, and old lithe papers and is open to the public for viewing. 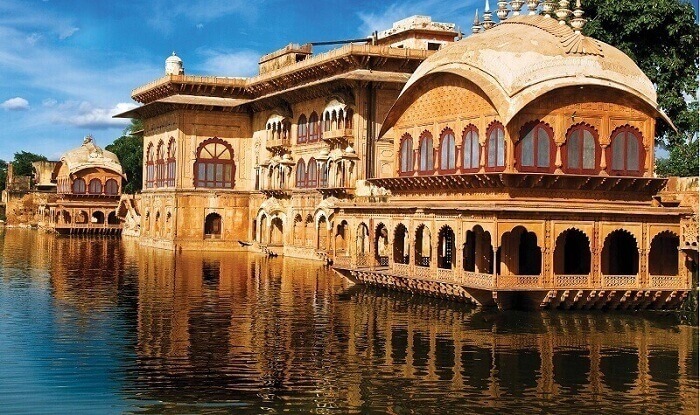 One of the most popular places to visit in Bharatpur is that of the Bharatpur Palace which is an elegant structure combining both Mughal and Rajput architectural styles. The flooring pattern is rich and there are decorated walls all around, which makes it look all the more glamorous. 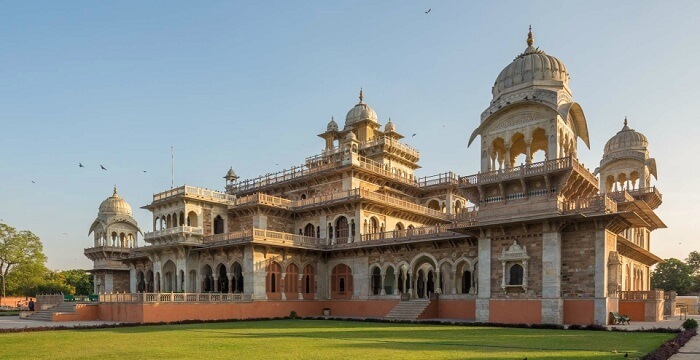 The Kamra Khas is a museum housed inside this palace and has a lot of antiques, including over 581 stone sculptures, 861 local art and crafts ware, and ancient scriptures depicting the culture, history, and traditions of typical Bharatpur. It was built during the Mughal rule in Bharatpur and is a delightful temple situated inside the Lohagarh Fort. 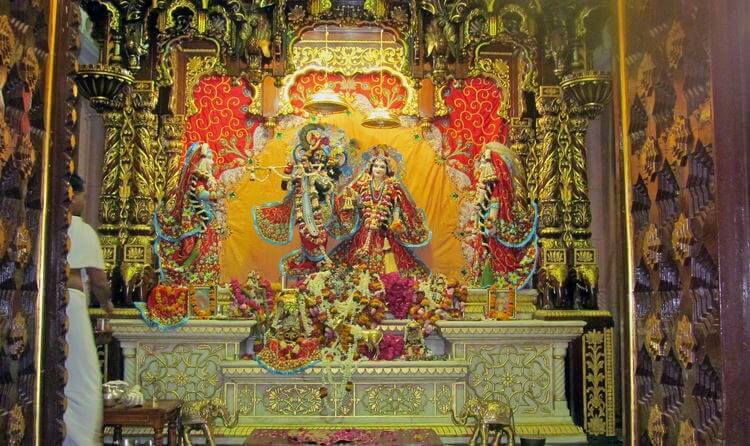 It is a perfect revival spot that is calm and peaceful with the soothing gongs reverberating inside the temple. Being a vital part of Bharatpur sightseeing, it surely makes for a serene and auspicious atmosphere. Primarily a Krishna temple, it houses many idols that celebrate his power and virtue that makes it one of the best places to see in Bharatpur. Also known as the Iron Fort, the Lohagarh Fort is one of the strongest structures in Rajasthan. Not only is it the strongest but also a must visit place for tourists who come to Bharatpur. The Government Museum housed inside the premises of this fort makes it all the more a popular attraction. The Fort also acts as a famed viewpoint of the region. 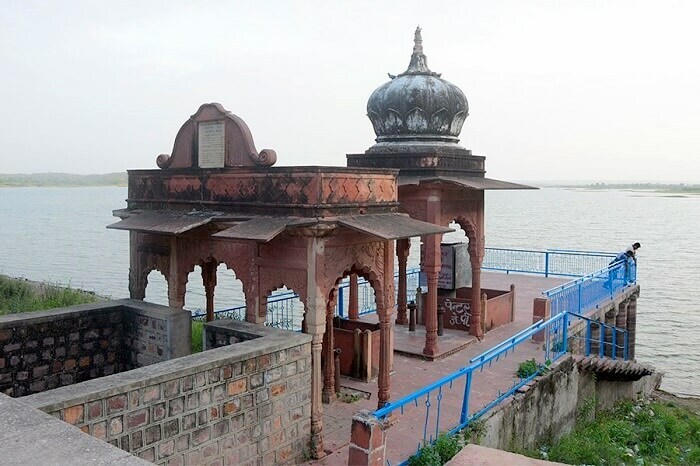 Built in 1845, Ganga Mandir is a major tourist attraction owing to its unique history. Its construction was completed about 90 years ago and on completion, it became one of the most stupendous structures in the heart of this bustling city. Housing a 4-feet statue of king Bhageeratha which is a marvel in itself, it is indeed one of the best places to visit in Bharatpur. 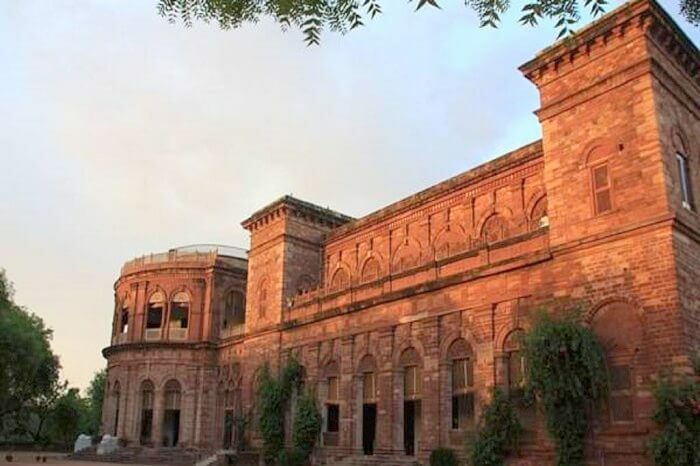 A small yet an interesting town, Deeg comprises of tourist attractions such as Palace Complex and hosts famous festivals like that of the 3-day Deeg festival which is held every year in the month of September. 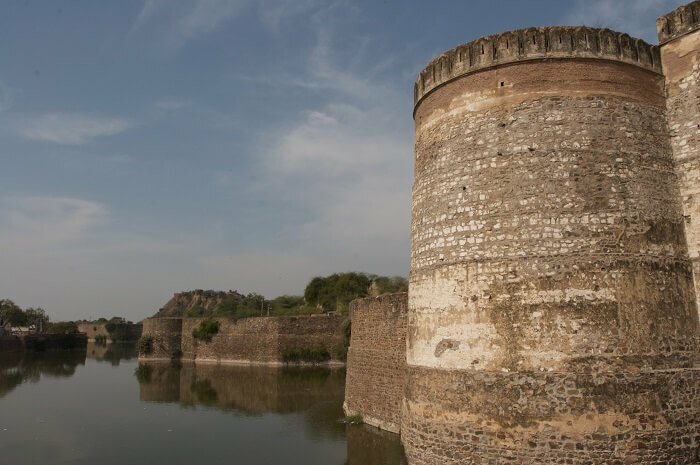 Also, one must visit the Deeg Fort which is much famed as the Jal Mahal that adds a whole new image to the region due to its intricate architecture. 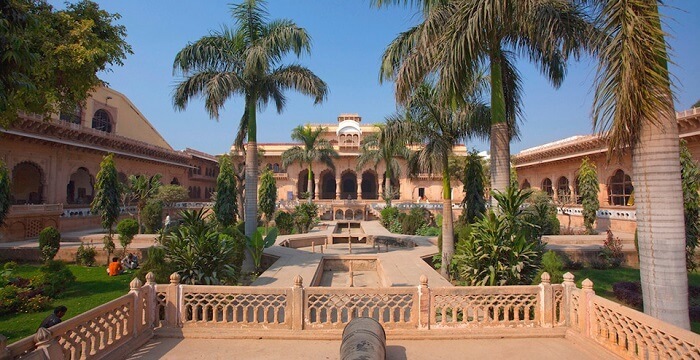 The glamorous Dholpur Palace, also known as Raj Niwas Palace offers a sight worth beholding forever. It was built during the early 19th century and immediately catches the eye even from far distances due to its brimming red sandstone built. While the architecture of this palace is intricate, it adds meaning to the structure that makes it more interesting to gaze upon. Situated in the district of Bharatpur, Band Baretha is a large town of historical significance. 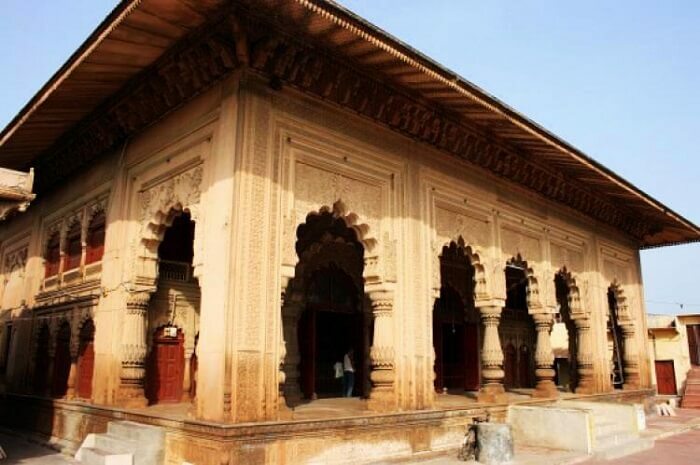 The long history of the Mughal Rule can be seen in some of the most popular monuments of this town like the Old Fort, and the Barah Khambon Ki Chhatri. Apart from that, the dam of the Kakund River also makes for a great picnic spot. Established at the dawn of the millennium, Club Holidays and Adventures offers you tour packages to visit India and live a most remarkable experience. The incredibly diverse travel destinations of India make this country a real paradise for travelers. Our tours are fully customizable and we adapt to your own needs and preferences in order to make your trip to India a lifetime experience. You can also rely on a team made up of professionals with years of India travel experience to give you accurate and strong advice to make your trip even more memorable.